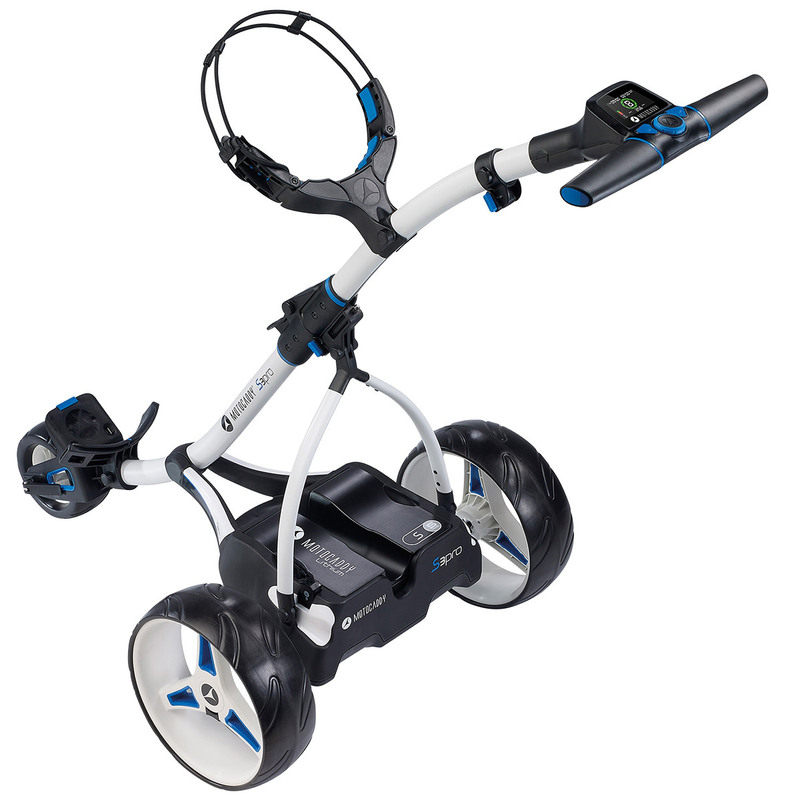 Getting round the golf course has never been easier especially with the Motocaddy S3 Pro helping you along the way. 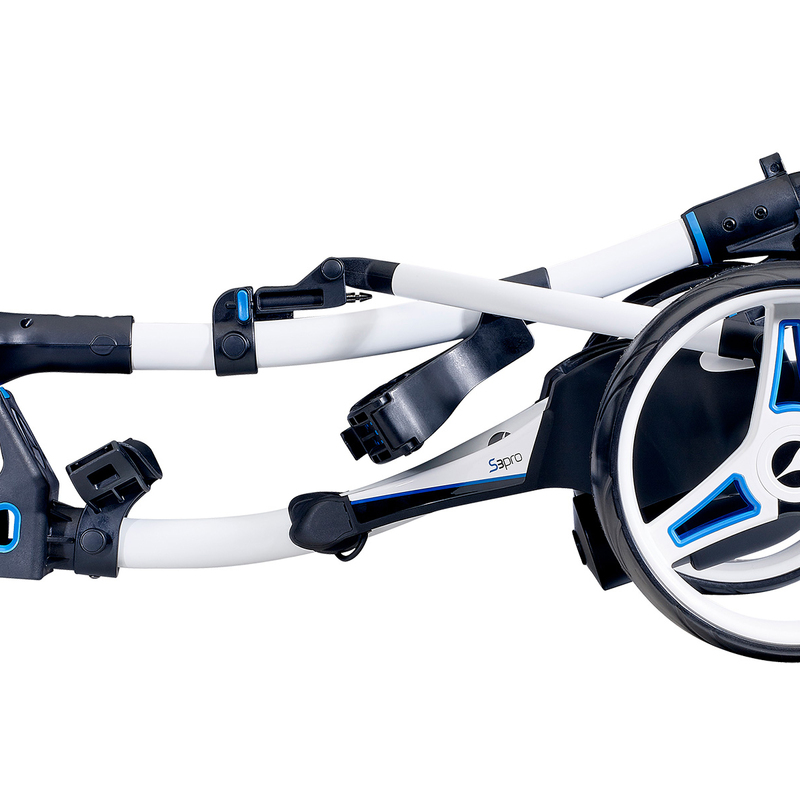 The tried and tested S3 has been given a subtle overhaul with some great improvements. 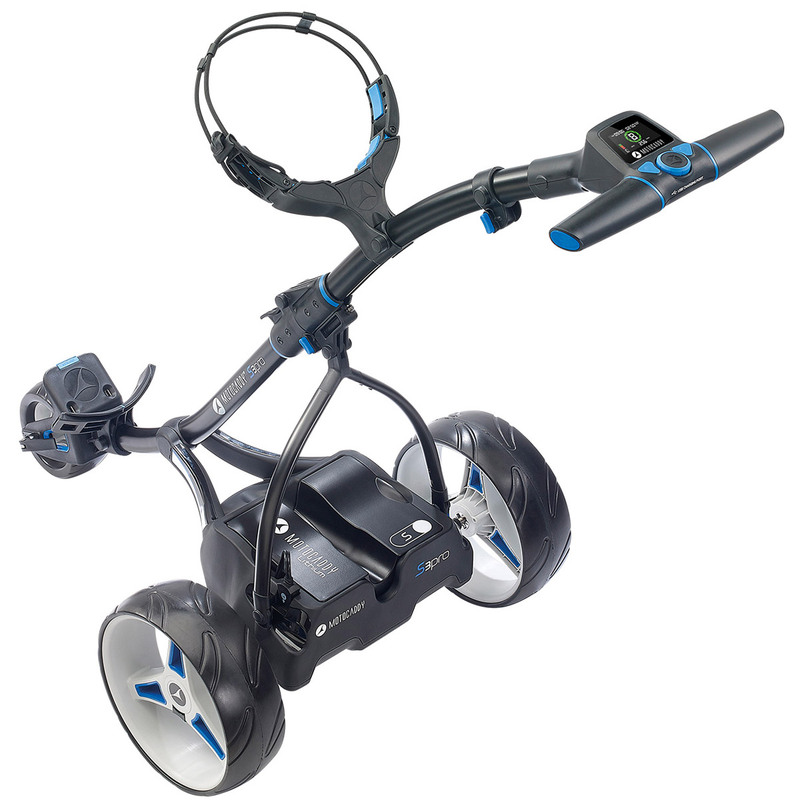 Thanks to the adjustable Distance Control system, you can command your trolley up to a hands free distance of 60 yards and while you're doing this you can measure distances such as your drive length, round and life total on the new user-friendly colour screen! 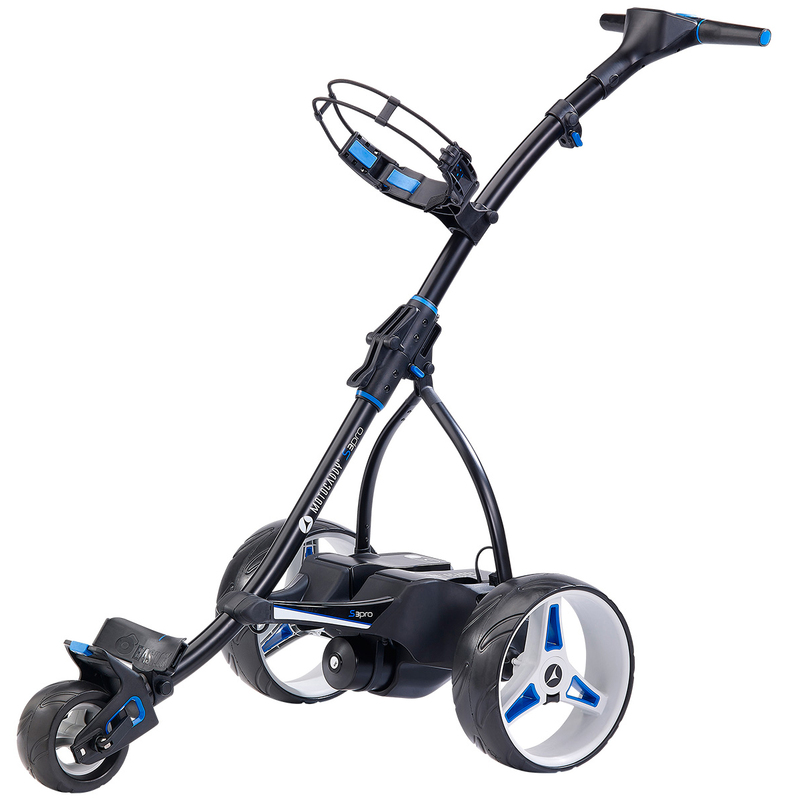 And to make life even easier, this trolley weights a mere 9kg (thanks to its aluminium construction) and has small folded dimensions of 850mm(L) x 595mm(W) x 355mm(H). A patented USB charging point ensure your devices will never run out of juice and a Cartlock security pin code give you peace of mind that it will be totally secure. 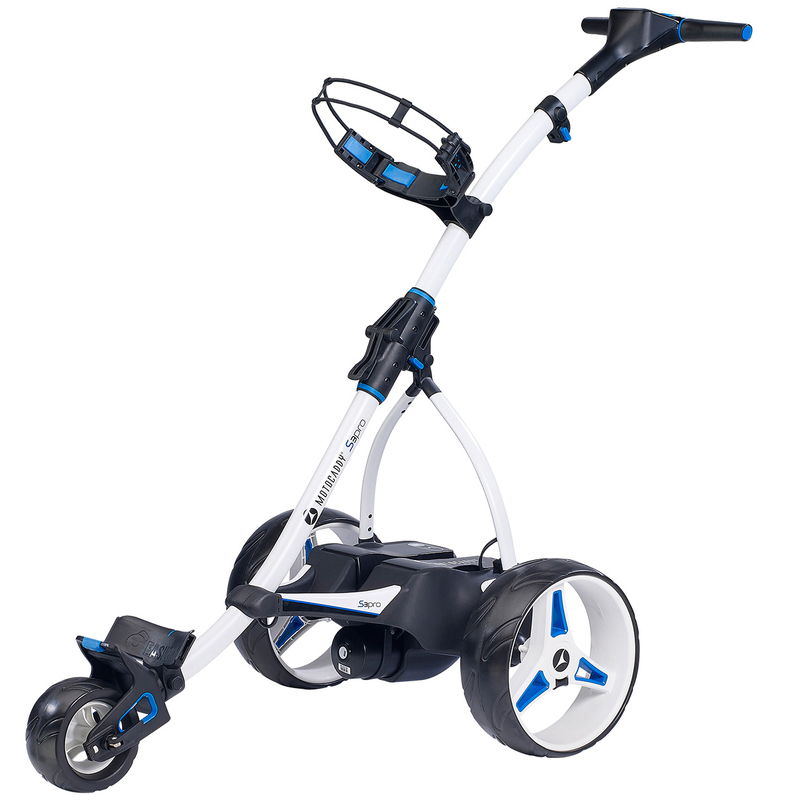 The QUIKFOLD mechanism and streamlined battery tray allows for quick and easy storage for your car or oat home while the EASILOCKTM compatibility allows for a great fit of your Motocaddy golf bag. 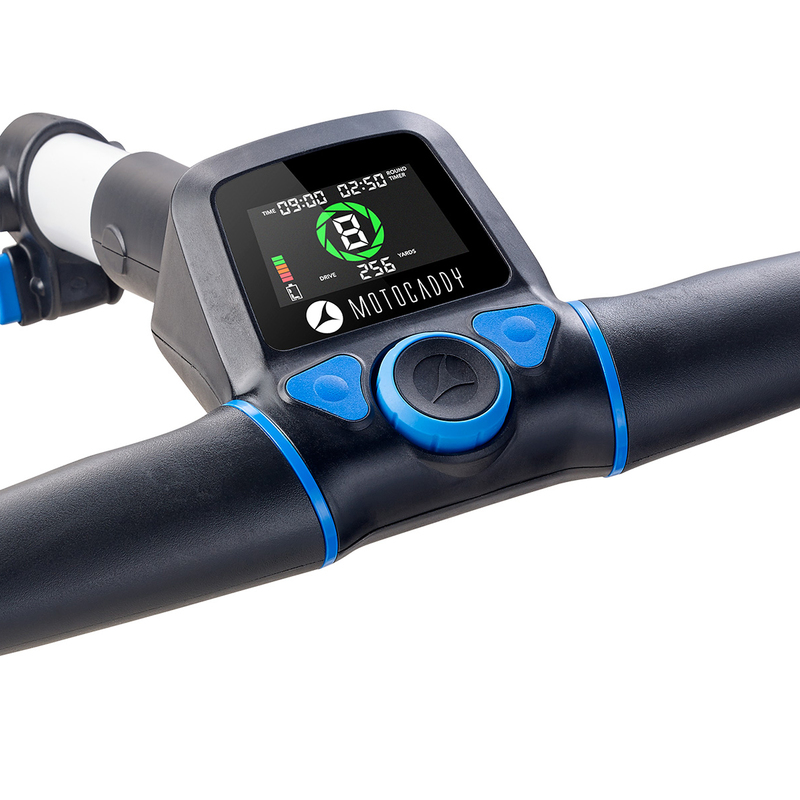 All controlled from the new ergonomic handle, are some great features. 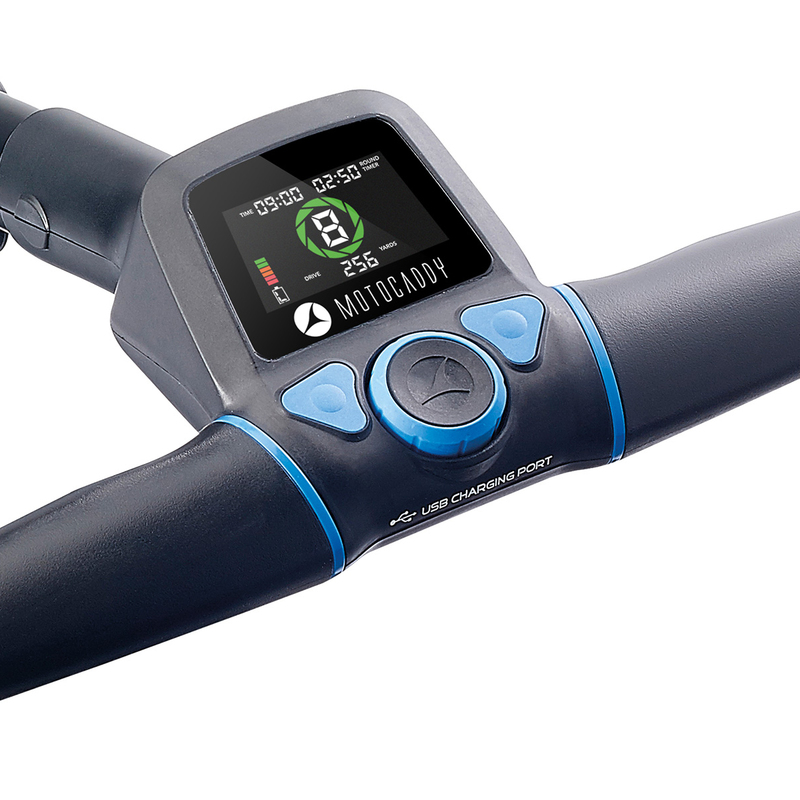 These include an advanced battery meter, clock, round and lost ball timers as well as a total of 9 speed settings.